NEW ORLEANS, Louisiana, April 4, 2016 (ENS) – A federal judge in New Orleans today set his stamp of approval on an $18.7 billion civil settlement in the deadly 2010 Deepwater Horizon disaster in the Gulf of Mexico. U.S. District Judge Carl Barbier approved the agreement reached with the U.S. government and five Gulf states: Florida, Alabama, Louisiana, Mississippi and Texas – resolving years of litigation over the worst offshore spill in U.S. history. Eleven men died in the explosion and sinking of the Deepwater Horizon oil platform about 50 miles from the mouth of the Mississippi River on April 20, 2010. The platform was under lease by the British company BP for exploration of its Macondo well. The well blowout set off an oil gusher on the sea floor that flowed for 87 days, spewing an estimated 4.9 million barrels of crude oil, until it was capped on July 15, 2010. Relief wells were used to permanently seal the well, which was not declared “effectively dead” until September 19, 2010. Oil from the spill fouled at least 400 square miles of the sea floor and washed up on more than 1,300 miles of shoreline from Florida to Texas. The economies of the affected states were devastated. Toxic to fish, birds, plankton, turtles and mammals, the oil spill caused death and disease and made it tough for wildlife to reproduce. BP and its partners in the oil well, Transocean and Halliburton, went on trial on February 25, 2013 in the U.S. District Court in New Orleans to determine payouts and fines under the Clean Water Act and the Natural Resources Damage Assessment. The plaintiffs included the U.S. Justice Department, the five Gulf states and private individuals. In September 2014, Judge Barbier found BP guilty of “gross negligence” and “willful misconduct” leading to the explosion of the Deepwater Horizon. First announced in July 2015, this settlement includes $5.5. billion in civil penalties under the Clean Water Act, the largest fines in U.S. history, and billions more for environmental damages. 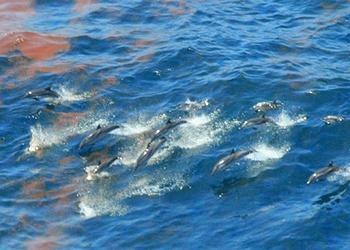 BP has 17 years to pay out the settlement. 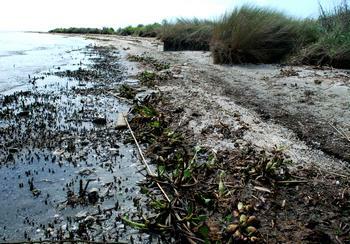 This decision clears the way for Louisiana to receive critical coastal restoration funding and provide immediate assistance to close the current fiscal year’s budget deficit. As a result of the settlement, an additional $1.5 billion will come to Mississippi for natural resource damages and civil penalties under the Clean Water Act. These funds will be distributed to the state over the next 17 years and are in addition to $659 million of early funding already received. In all, Mississippi is receiving a total of nearly $2.174 billion in compensation. On July 2, 2015, BP, the U.S. Justice Department and the five gulf states announced that the company agreed to pay this record settlement of $18.7 billion. 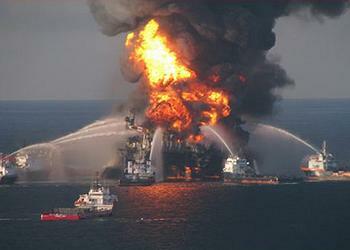 To date, BP’s cost for the cleanup, environmental and economic damages and penalties has topped $54 billion. Click here to read all the details in the consent decree approved today.